Majesty: The Northern Expansionis the newest critically acclaimed expansion in the popular Android Majesty franchise, produced by Herocraft Ltd. 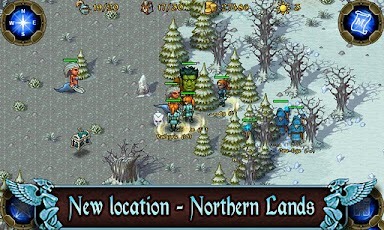 In this installation, the northern lands are opened for exploration, and players of this multiplayer online game quickly learn that while there had been peace in the kingdom, things are not so in the North Lands. Here there be dragons. Lots of dragons. Big, hungry, ANGRY dragons. Fear not brave adventurer – if you have never played a game in the Majesty franchise before, no matter. The tutorial for Majesty: The Northern Expansion is well constructed and will have you well on your way to a dragon slayfest in no time. Your castle is the base of your kingdom, and depending on the choices you make for constructing buildings in your kingdom will dictate what types of Heroes and magic abilities you can use later. Pay special attention to the loading screens as they often offer tips and tricks for the novice player. Many games and programs now include features such as these (instead of having you stare blankly at a loading screen), and it is nice to see that Majesty: The Northern Expansion for Android has done the same. The graphics aren’t particularly flashy, but that’s kind of the point. 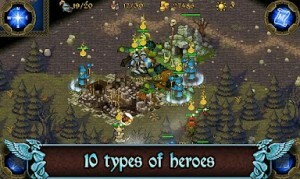 Majesty: The Northern Expansion really manages to capture the nostalgic feel of old-school 8-bit role-playing games. In terms of game play, Majesty is essentially just another castle building simulation, but there are a few quirks that make this game stand out. 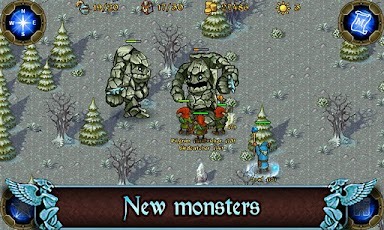 In addition to the new monsters, new Heroes and the ability to upgrade the buildings in your kingdom, there are also changes to how a user plays the game. 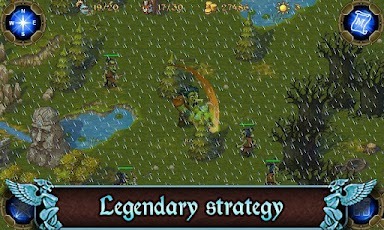 For instance, you must change your strategy based upon the Heroes you have selected, as each has its own unique features and skills. Also included is full social media integration, so you can Tweet and post to Facebook to let all your friends know about your legendary adventures in Majesty: The Northern Expansion. Majesty: The Northern Expansion is compatible with Android devices equipped with version 2.1 or later. A small expedite fee was paid by the developer to speed up the publication of this Android game review.